Dolby Digital is the most widely used audio system used on DVD and offers up to 6 (7) channels. Dolby True HD is a new sound system for the new HD formats and offers up to 8 channels. In this guide, you get the full overview of these systems. There are also Dolby Digital Surround EX, which offers up to 7 different channels. You can read about further down the page. Dolby Digital was the first digital audio system for home use developed by Dolby. The system consists of six discrete channels (5.1). Five of the six channels renders the entire audible frequency range: front left, center, right front, left surround and right surround. The sixth is a low frequency effect channel which reproduces a limited frequency range (20- 120 Hz) and is used to reproduce bass effects with a high sound pressure. These channels are usually referred to as 5.1 surround sound. One of the benefits of 5.1 surround sound is that it makes it possible to let a sound come from any direction in the circle that surrounds the listener. In addition, it increasingly possible to create compelling and credible environmental sounds around the listener. This is because of the limited surround channel used in Dolby Pro Logic is substituted with two full frequency channels which renders the entire audible range. And using the low frequency bass effects channel gets rendered most powerful dypbasslydene without distortion and the influence of the other channels in the surround system. To fit all the audio information to the six channels, Dolby took using data reduction technique to reduce the amount of information to the audio signals. In Dolby Digital system using a data reduction technique that Dolby AC-3 calls. This technique is especially suited multichannel. Signal information for Dolby Digital is a digital data stream, and it puts great demands on the storage medium that can transmit such information. DVDs and Laser Discs NTSC - system is the only formats where you get Dolby Digital provisional. Dolby Digital will also be available via satellite. The quality of Dolby Digital sound is in theory not as good as on CD. This is due to reduction technique. In other words, only DVD discs labeled 5.1 in addition to Dolby Digital, which provides proper Dolby Digital AC-3 audio channels 6. The sound that is stored on a DVD disc is thus the compressed Dolby Digital sound matter whether the sound is 5.1,2.0 etc. This sound can be taken right out of the player via a Dolby Digital output, and connected to a Dolby Digital Decoder. For those who do not have a Dolby Digital decoder is Dolby Digital sound (5.1 to 2.0 etc.) Transformed into standard analog 2-channel - sound DVD player, taken from phono sockets on the DVD player. But we recommend strongly to procure a Dolby Digital decoder whether to buy the DVD. The experience is several notches better than Dolby Pro Logic. Microsoft XBOX is the only game machine that offers Dolby Digital from games. Playstation 2 is not powerful enough to encode Dolby Digital during gameplay and offers Dolby Digital only from pre played sequences. This is just one of the reasons that the XBOX is the market's best game machine. In order to use Dolby Digital from XBOX is dependent to buy Advanced AV cable for XBOX. Some very few TV channels broadcast in Dolby Digital via satellite. To take advantage of this sound, you depend on a dish tuner with digital audio output. This is unfortunately scarce on most satellite tuners sold. Dolby Digital for home use were developed Laserdisc. From before was Laserdisc - plates equipped with two digital audio channels (right and left) and 2 analog audio channels (right and left). To accommodate Dolby Digital sound, it was decided that we should remove one analog channel and modulate into the digital Dolby Digital AC-3 audio instead. In this way retain one original digital PCM - sound on Laserdisc. It is important when using Dolby Digital and Laserdisc, is that one must have a Dolby Digital receiver / processor with AC 3RF input or external AC-3 RF demodulator in ti1legg a Laserdisc player with AC 3RF output. Dolby Digital from Laserdisc was first demonstrated in 1995. To learn more about the immortal format please read our Laserdisc guide. Star Wars Episode 1: "The Phantom Menace" was developed a new type of surround format: Dolby Digital Surround EX. The system was developed by Lucasfilm THX and Dolby Laboratories. The idea for this system got Gary Rydstrøm, the leader of the creative part of Skywalker Sound. (The company that makes noise to Star Wars). He wanted the audience to be totally surrounded by sound in addition to being able to hear audio played directly behind them. Thus began his efforts to get the team a format that would create new opportunities and placing sound exactly where you would find them in real life. The system debuted on 21 May 1999 when Star Wars: Episode 1- The Phantom Menace premiered. The system uses the same technique as usual Dolby Digital, but has an additional center surround channel. This is achieved by encoding into the center channel of the two digital trailing alone in the same way as the center channel in the Dolby Pro Logic system. It is thus wrong to call the system a 6.1 system when they are not 7 discrete channels. This new surround system are of course also for home theater use. When called system of THX Surround EX THX approved equipment and Dolby Digital EX on other equipment. Surround EX is fully backward compatible so there is no problem to play DVD movies on Surround EX soundtrack on a home theater without EX system. Dolby Digital Surround EX equipment are usually equipped with one extra bacchanal or 2 extra bacchanal. THX Surround EX equipment for home use has two center rear channels. THX call them Surround Back Left and surronds Back Right. Each of these channel has its own set of settings for level and time delay + ability to select an appropriate crossover. One can send a full frequency signal or use the THX system highpass filter at 80Hz. You can also choose not to use these two channels. The reason that you select two bacchanal on Surround EX equipment instead of one is that while playing movies without EX encoding will be more credible than with just one channel. In addition, it allows for different film and music modes in 7.1 format for the manufacturers of such equipment. Dolby Pro Logic IIx is such a 7.1 system. The new EX decoders automatically recognizes a Dolby Digital EX bitstream so that decoding can be connected without having to do anything manually. This requires that the data stream from the DVD disc is marked with an EX flag. Is not release marked with such a flag must even set it manually to EX. Nor do you have any special DVD player to transmit this signal to a receiver. The selection of movies with Dolby Digtal EX is growing, and because of the way EX encoded on the soundtrack, all movies in cinemas EX also get it on DVD. A list of movies with Dolby Digital Surround EX is here. Be aware that many of the movies recorded with Dolby Digital Surround EX is not marked with the DVD cover. 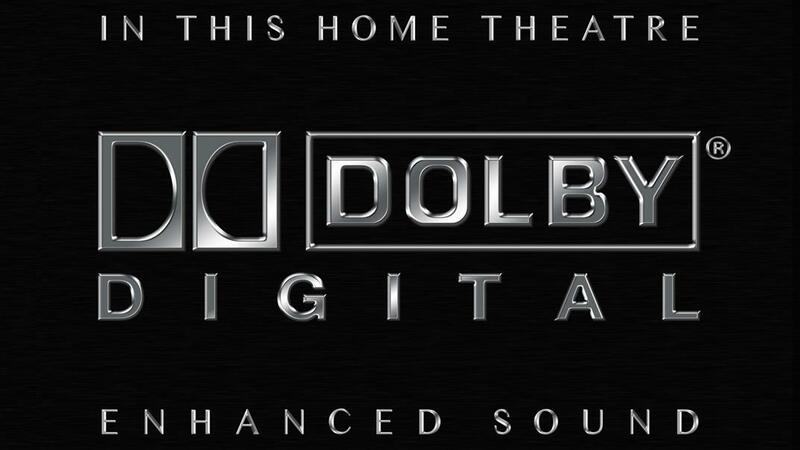 Dolby TrueHD is a new lossless multichannel audio system that allows for much higher sound quality than the earlier versions of Dolby Digital. With a data rate of up to 18 Mbit / s and up to 8 discrete channels (7.1) gives a sound that's in style with the image on HD-DVD. Dolby TrueHD can be encoded with 24 bits or 16 bits of accuracy and bit rate is variable but is about 1.5 Mbit / s at 16 bit and about 3.5 Mbit / s at 24 bit. To transmit Dolby TrueHD signal to a receiver / processor must use HDMI connection where the player and receiver supports version 1.3 of HDMI. Currently, the selection of these receivers in practice 0 so that one must either decode signal internally in the player and send it analogous to the receiver, or you can convert the signal into multichannel PCM. It is mandatory that all HD DVD players will be able to decode Dolby TrueHD to 2 channel PMC, but all current models can convert Dolby TrueHD to Multichannel PCM signal that can be transmitted via HDMI and decoded in the receiver. Most of today's receivers with HDMI with decoding possibility Multichannel PCM. This conversion will not generally go beyond the sound quality when both formats are lossless. If your receiver is not equipped with HDMI input or can not handle decoding of multichannel PCM, there is a third possibility in that HD DVD player converts the signal to normal DTS or Dolby Digital sound. This is for example done in XBOX360 converting Dolby TrueHD to Dolby Digital and sends it out via the optical digital output.